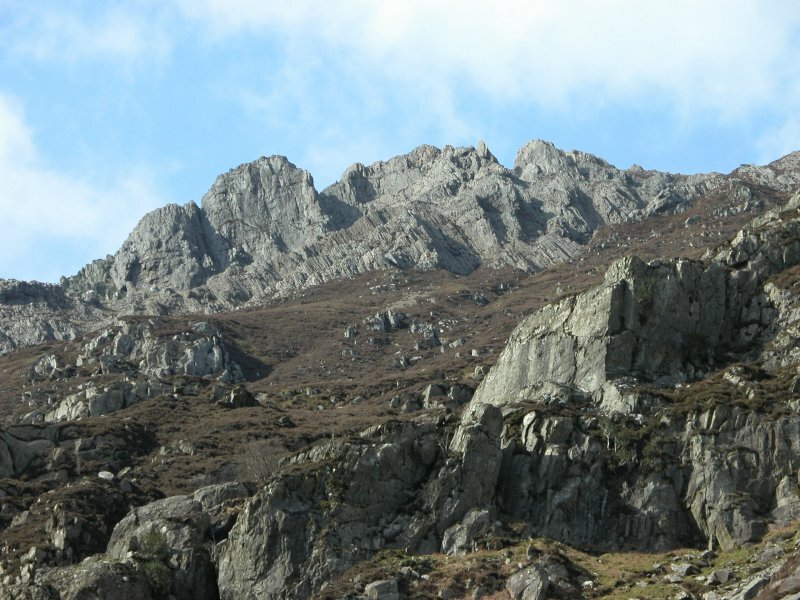 A round trip of the tallest mountain in Wales. 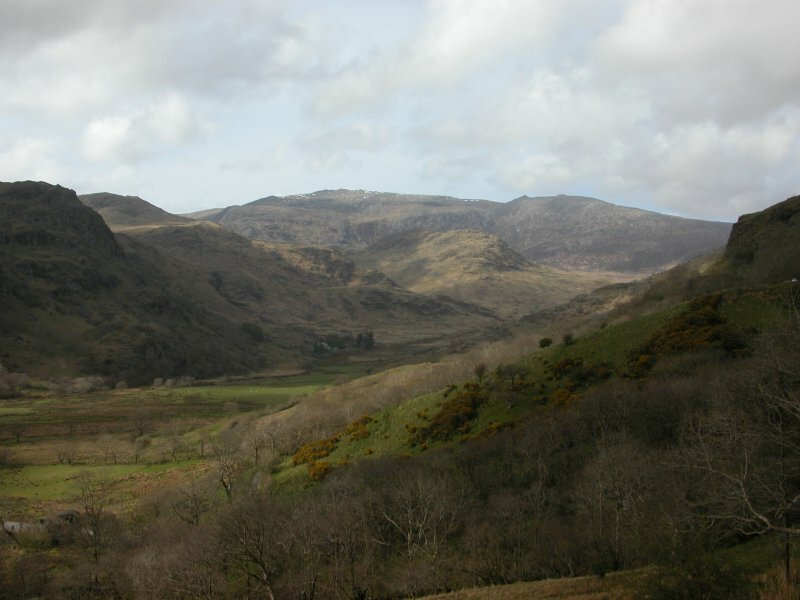 After spending most of the time in South Wales, it was time to get a taster of North Wales. 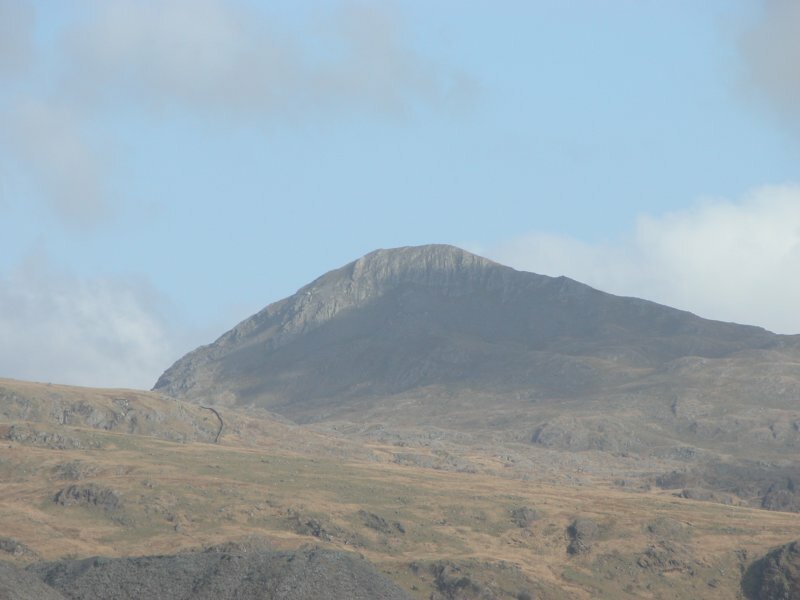 Only a taster, since North Wales is huge, and it would be possible to spend months there, never doing the same mountain twice. 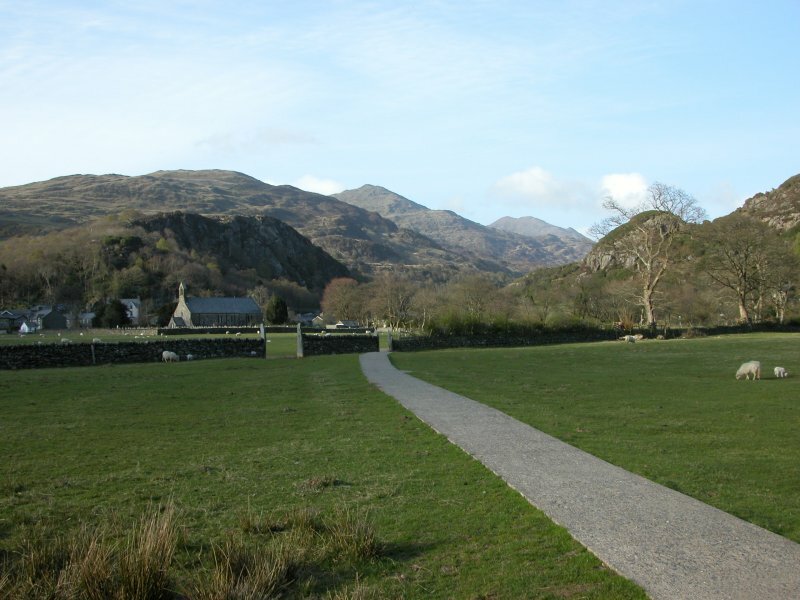 We were staying at Bryn Dinas bunkhouses near Beddgelert, so it made sense to start with a circular tour of Snowdon, since Beddgelert is on the edge of it. 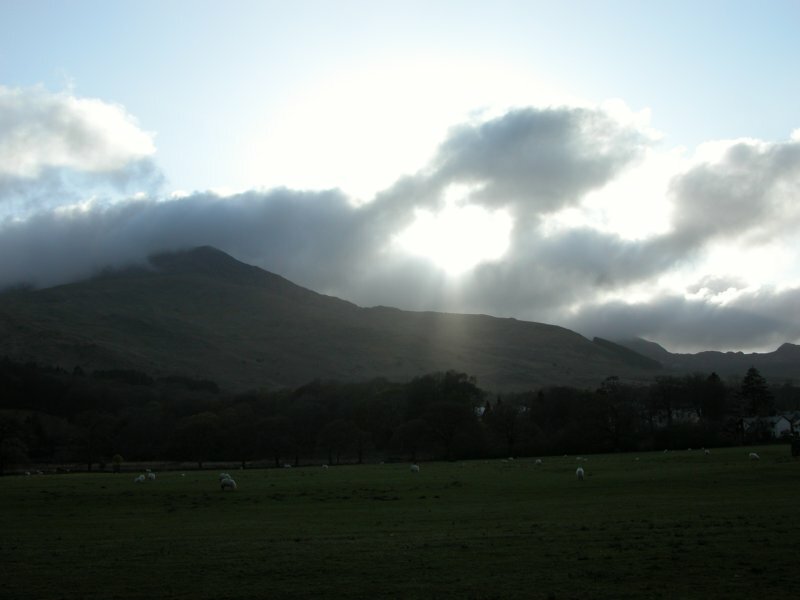 Perhaps today, Snowdon's Yr Wyddfa summit might actually be visible. Yeah, right. 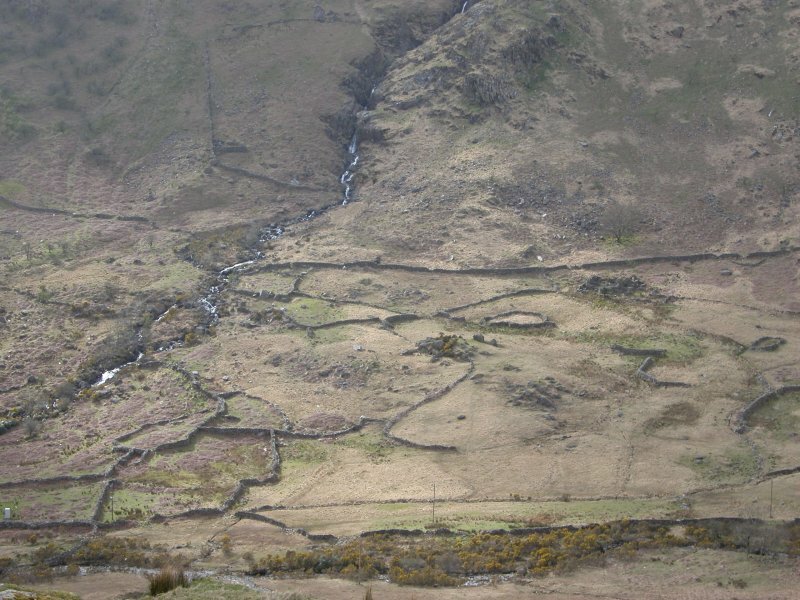 So far we had spent a week in red kite country in the Beacons, and driven up past one of the main red kite centres at Rhaeadr, and nada. Not a single red kite. Then we arrive in the Vale of Ffestiniog, and the only red kite of the holiday appears right over the car. 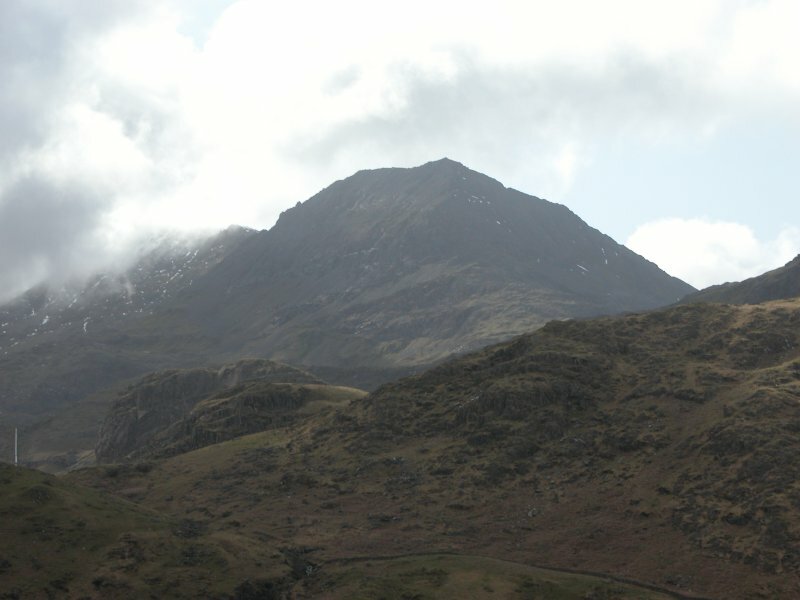 Crib Goch, the razor-sharp ridge route up Snowdon. And no, Yr Wyddfa was not visible. 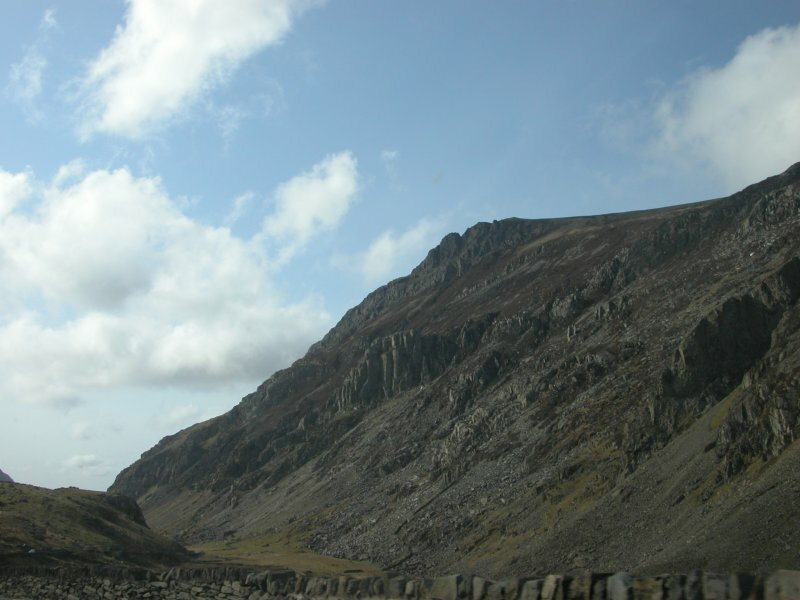 The back of Glyder Fawr (1001 metres). 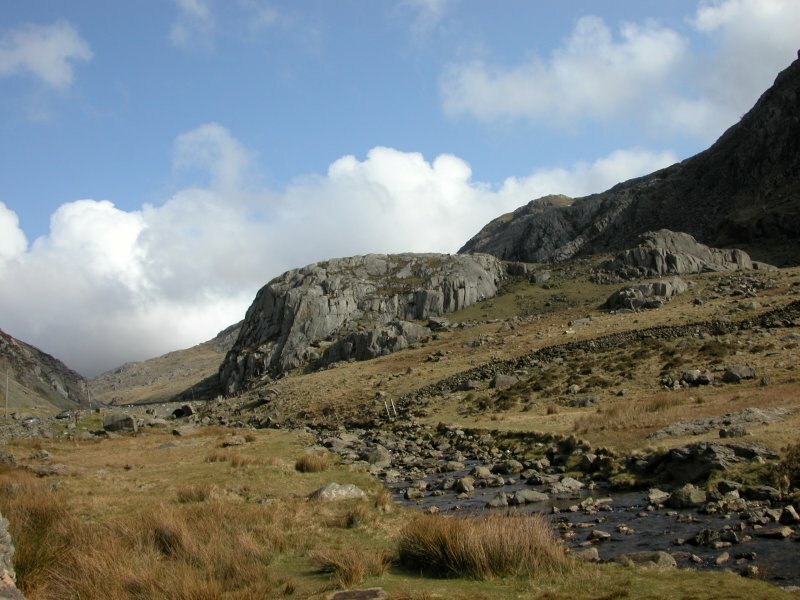 The slopes of Glyder Fawr. 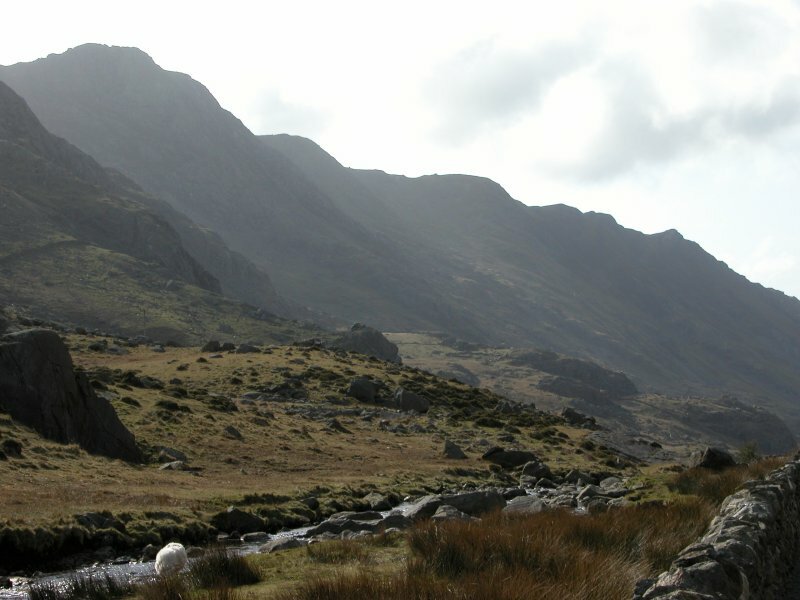 Esgair Felen, a ridge on Glyder Fawr. 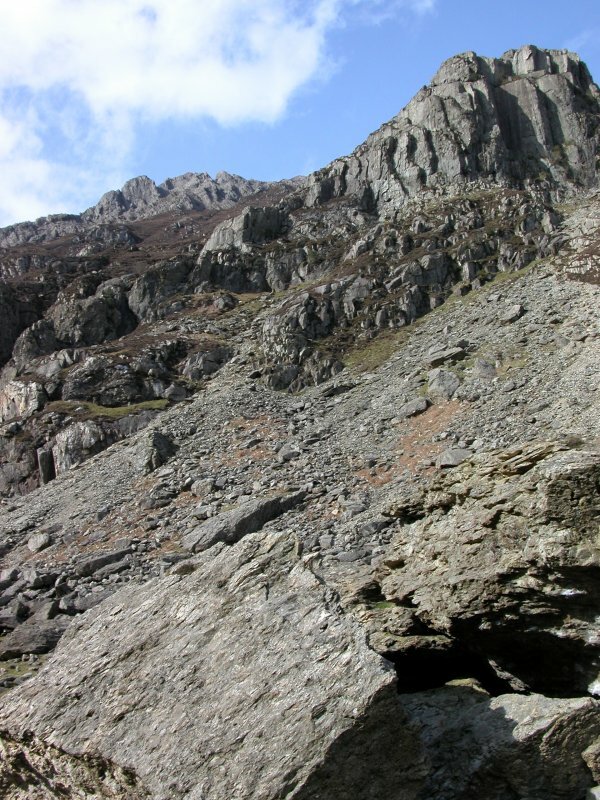 House platform at the Llanberis Pass. 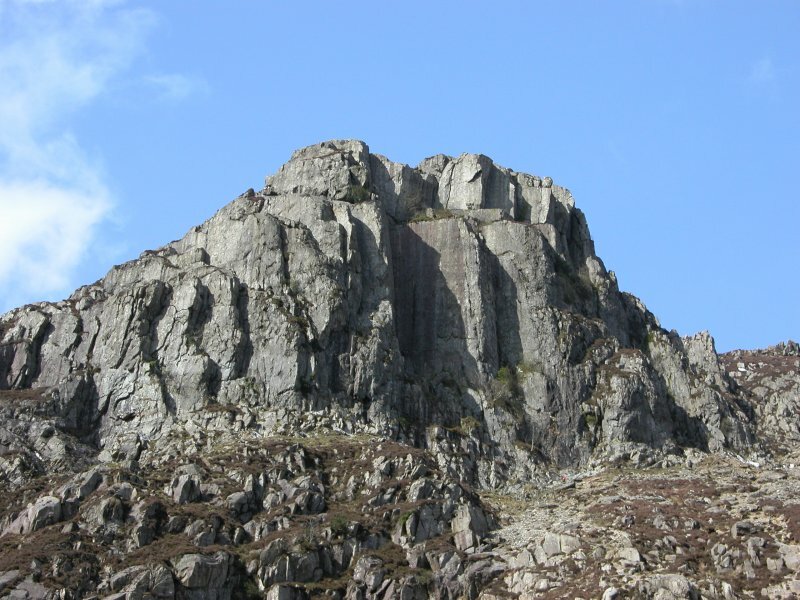 The enormous quarry tips from the Llanberis Quarry. For scale, there is a white house on the right side of the picture. 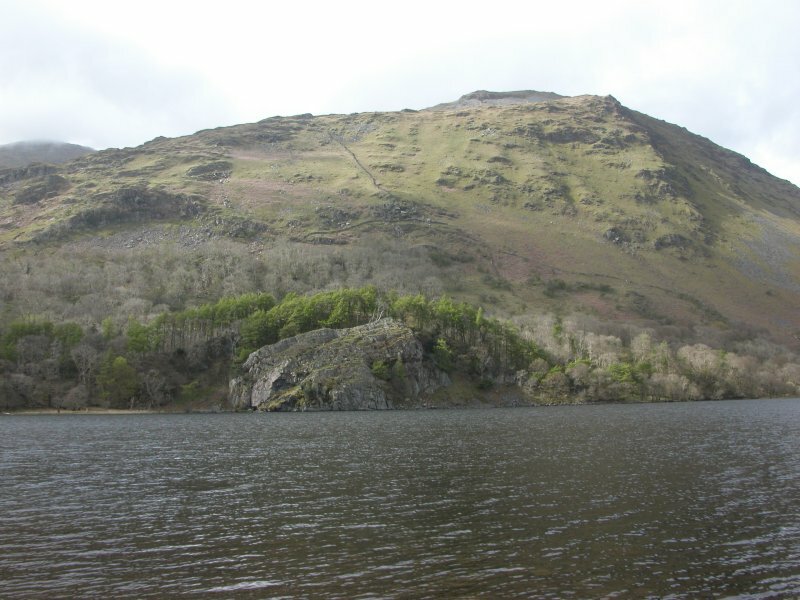 An entire mountain has been destroyed by the quarrying. An even larger quarry exists on the other side. 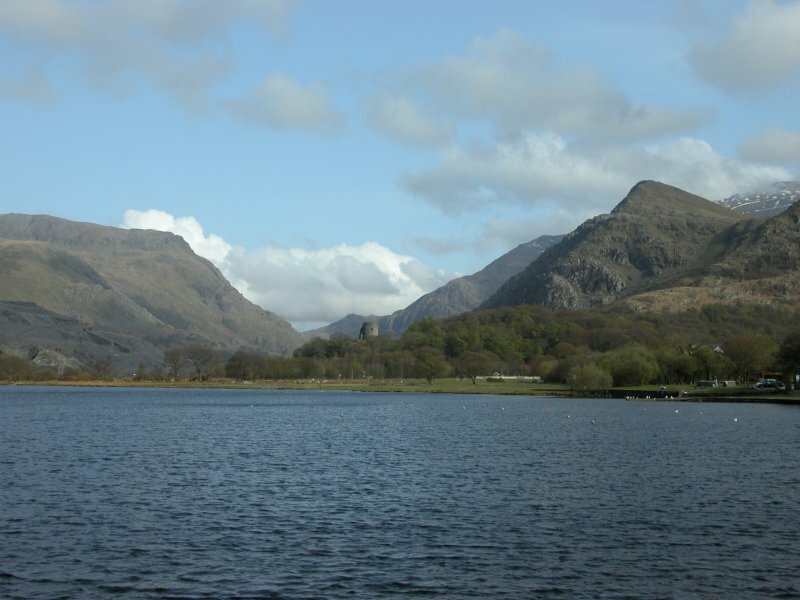 Dolbadarn Castle in Llanberis, nestled between the immense ranges of the Glyderau, and Snowdon (1085 metres). The steep drop on the back of Yr Aran. I think. 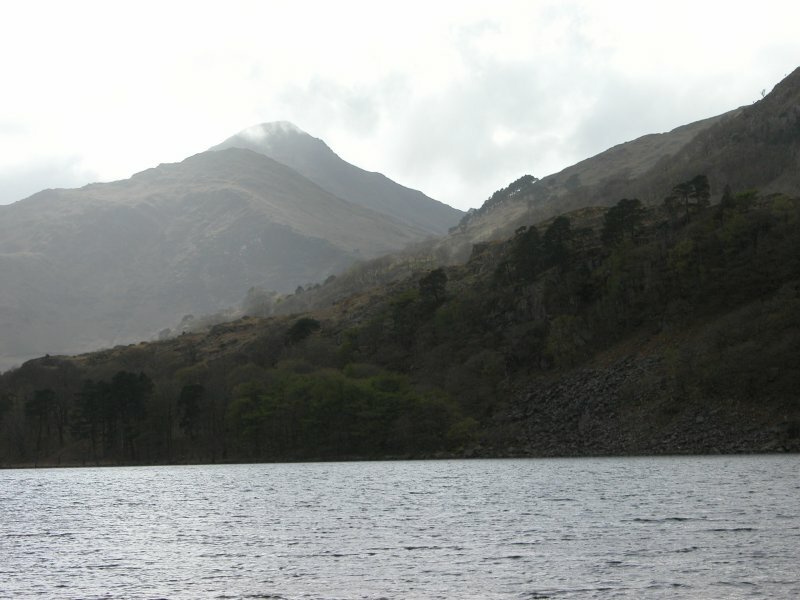 Beddgelert with Craig Wen (608 metres), Yr Aran, and Y Lliwedd's West Peak (898 metres) and East Peak (893 metres).